Here a painting me and my partner Junk did on an NBA backboard for “The Art of Basketball” a show by the NBA during Art Basel a little while back. 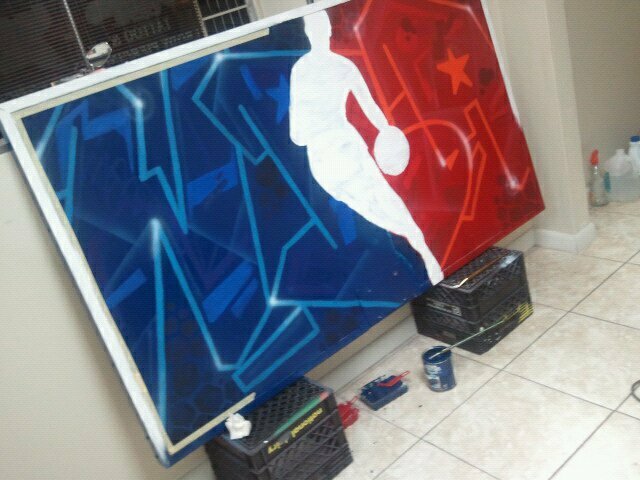 This entry was posted in events, Fine Art and tagged Art, artbasel, Artist, artofbasketball, artshow, backboard, nba, painting, spraypaint, theartofbasketball. Bookmark the permalink.